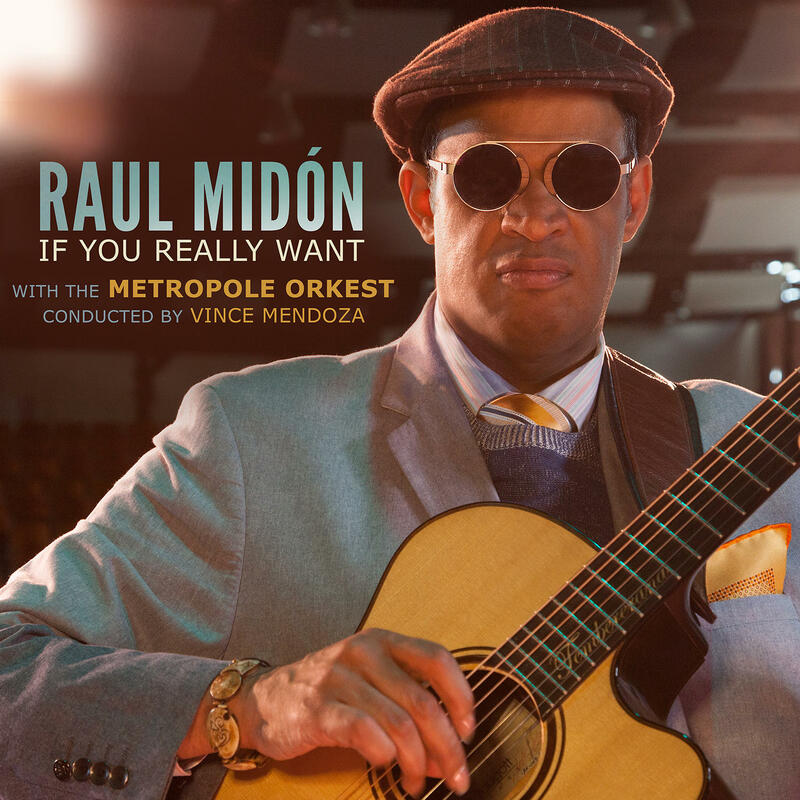 Singer/songwriter and guitarist Raul Midon has made a big splash in the music industry. The artist, who has been blind since shortly after birth, composes most of his own music, and produces and engineers all of his own albums in the studio he had built in his home. "I'm a control freak," he says with a laugh. "I readily admit that." His latest album, "If You Really Want," is up for a Grammy for Best Jazz Vocal Album; it's the artist's second nomination. Midon performed in Wichita recently at a private concert and also took a tour of Envision, which supports the visually impaired. KMUW's Carla Eckels sat down with Midon to talk about his relationship with music. How do you decide on what you're going to write? What is that process? It’s kind of this mysterious process, even to me. I mean, I think a lot of times I'll come up with some kind of a musical idea and that starts to inform the lyric. I write all the time. I carry a portable writing device so when I get an idea I just write it. I'm a journaler, so, you know, I'm always trying to keep the muscle going of writing so that when an idea comes [I think] 'Oh, that's a good idea for a song,' and I just start working on it. Sometimes it's very quick‚ you know, I come up with something and in half an hour I have a song, and sometimes it's not so much, and sometimes I spend months trying to come up with a right line. Tell us a bit of your history in terms of music. Well, I grew up in a very musical family in the middle of nowhere in a place called Embudo, New Mexico. I think the population is 250. My dad had a great record collection and so I started listening to music really early. I was always into radio as well because of what came out of it and my dad owned a restaurant with a flamenco guitarist so I started taking lessons when I was about six. And, you know, sort of just kept going from there. In high school I had a classical guitar and so I was pretty rigorous every week going doing that, and then I went to college, to the University of Miami, which has a really renowned program. And I've always had very eclectic taste in music, so I went to college and went to the studio music and jazz program, graduated with a degree there, and then I got into playing but also being a studio musician in Miami. For about 10 years I worked in studio sessions for all the big Latin recording artists that were recording out of Miami at that time in the '90s. I worked with everybody from Shakira to Julio Iglesias to Jennifer Lopez to everybody when they were doing their Spanish records, mostly. And I ended up being in Shakira’s band a couple of years and then after that I was like, this is it, this is as good as it gets here. I also started to realize that I wanted to do my own music so I moved to New York City. And that was really the sort of turning point as far as me getting my career going as an artist, not just as a musician but as, you know, somebody that's known for doing their own thing. A year after I moved to New York City, I was a part of a show at Carnegie Hall called "The Movie Music of Spike Lee," and then I got signed to Blue Note and have been making records ever since. I moved to Maryland in 2008 and I built a studio so not only is this last record a record of all my compositions, but it's a record that I produced and engineered myself. Let's talk about a couple of your songs. "Pick Somebody Up" is really positive. It's kind of a song about what music can do. I am aware of the power that we have as communicators. We can talk to people, we can connect with people on a very deep level as musicians, maybe even deeper than what you can do verbally. You touch people at certain times in their lives and it stays with them forever. So I'm very aware, and that song is kind of a statement of what I hope to do with the music, at least one of the things, anyway. How do you describe your music to someone else? I've never considered myself a particular kind of musician. I'm sort of put in the jazz category right now but really, I love soul music. I love Donny Hathaway and Stevie Wonder and Al Green. And I love Latin music. I speak Spanish, so I love Brazilian music, I love flamenco, I love Argentine folk music‚ I love tango. The music that I make is a distillation of everything that I love in music. What is it about this particular album that you really think connects with people? I think this album has some songs that are almost poems rather than lyrics, which is something that I thought would work with the kind of soundscape that an orchestra gives you, so I wrote some songs that are a little more like poems than lyrics and I hope people relate to that. It must be something to see your studio and see how you operate. There is a keystroke for everything as opposed to using the mouse. so for a blind person you have to tell the screen reader what information you wnat. I can't just read you all the information, or you'd be there all day. There's a keystroke that tells you the levels. I have to say, for me personally, the thing that's great about [the Grammy nomination] for me, is one, both of my records have been nominated, and they mostly original compositions, and two, both of the records I've produced and engineered myself. You like being in control of your music? Because you built your own studio, you have it in your house. I’m a control freak! (laughs) I’m a control freak, I readily admit that, but I've worked with with great producers and I'm kind of spoiled now, you know. If I'm going to work with a producer it better be somebody really good.